Jai (Jackky Bhagnani), born and brought up with middle-class values, has a ‘take it easy’ approach to life. Jai and his two best friends, Raunak (Pratik Gandhi) and Deepu (Shivam Parekh) start looking for unique ways to make it big in the world. Jai’s decision of choosing an unprofitable career path doesn’t go down too well with his father (Neeraj Sood), who decides to get him married. However Jai accidentally meets Avni (Kritika Kamra), an ambitious, MBA graduate, who wants to start her own business. Jai and Avni discover the true meaning of love in the process. The screenplay has loopholes in the sense that the track of Jai’s attempt at indulging in zany pranks with people at random by pretending to immolate him does not have any extension. 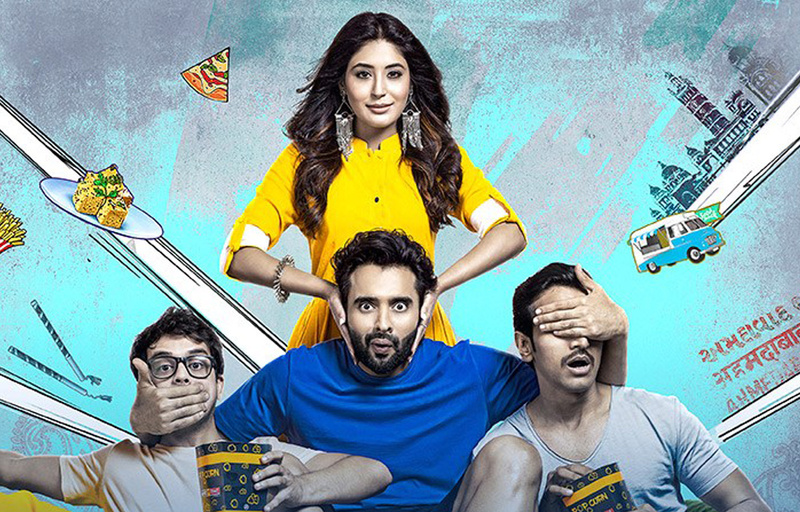 While Jackky Bhagnani is commendable in this comeback effort of his, Kritika Kamra lends credence to her in depth debut. Though barring Kai Po Che, none of the Gujarat-based films in recent times like Gori Tere Pyaar Mein, Sweetiee Weds NRI, Patel Ki Punjabi Shaadi and the recent Yamla Pagla Deewana Phir Se have failed to do justice to the setting, Mitron is effective and well directed heartwarming film by Nitin Kakkar a la Rajnigandha which proved to be a whiff of fragrance in the 70’s.